In this month’s Crystal Colorscope I shared how I tune into the planetary aspects through feeling their colors. I do the same thing with words. When I was a child I would awaken to my mother, a yogini, facing the rising sun and “OMing” her heart out. OM is often chanted at the beginning and end of a yoga session. Yoga means to unite, and OM symbolizes the union of mind, body, and spirit. It is a single-syllabic incantation known as a Pranava, and part of this word is PRANA. When broken up “Pra” means first and “Na” means unit. OM is the container of Prana, the temple of the Supreme Being. Chanting OM invokes the attention of the Divine. It is the manifest and un-manifest, the presence of the Divine in sound and in the breath. When the Divine divided, it created vibration – a sound – and this sound was OM. It is the sound of creation and the sound form of Atman, the transcendental self. 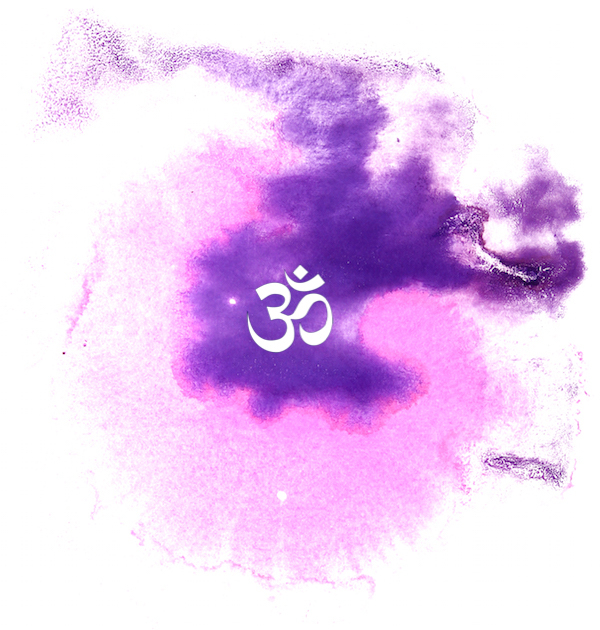 When I tune into the color of OM I see a pinky lilac bathing the word. Lilac symbolizes spirit, transformation, and transmutation. It is a color closely linked with Divinity. Violets and purples have long been associated with royalty, church robes, and opulence. In the energy field whenever I see lilac it often denotes someone who understands and lives by the laws of spirit, but it’s also a color of the imagination and creativity that isn’t restricted by any earthly confinements of thought. Violet is a blend of blue signifying the Divine will and red indicating physical manifestation. Violet then embodies the Divine in physical form. Pink is the color of unconditional love, a vibration that runs through the core of everything and everyone. This to me is the meaning of OM, the Divine made manifest. In addition lilac contains white meaning purity. What Color Is OM For You? 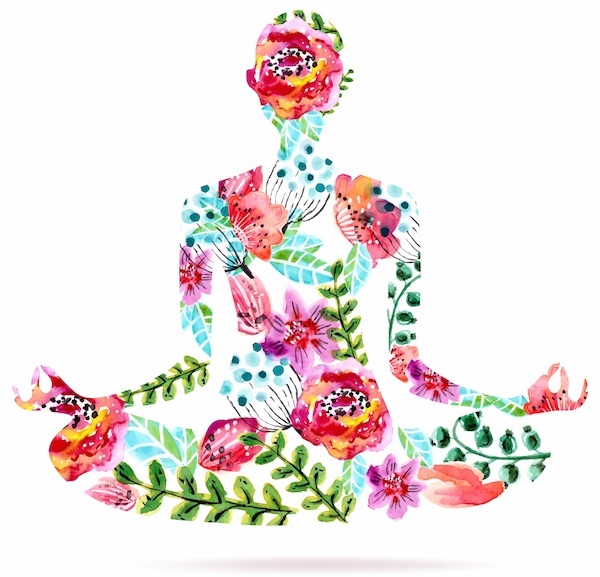 ♡ Make yourself comfortable, close your eyes, take some deep breathes and allow your body to relax. ♡ Let your thoughts rest in your heart, focus on your heart beat, as you do so allow your mind to come into this present moment. ♡ When you feel relaxed and your mind is empty of all other thoughts except that of your heart beat then make an intention to see, sense, imagine or know the color of any word you speak or think of. Now either make the sound of OM or imagine that you are chanting OM and see what color emerges. You can also ask yourself “What color is OM for me?” OR “If I knew, what color would OM be for me?” Again, allow the color to come to the surface. It might come as the name of a color, a visual image, a feeling or maybe a knowing. Words, like numbers and colors, have power and vibration. Each word you speak not only carries the vibration of its meaning, but also the vibration of its color. Make an intention to become consciously aware of the words you use. Each word is an incantation, a song of the Divine. As you speak know that yours word carry an energy that is infinitely greater than you can imagine. Make an intention to share positive words, good vibrations, the energy of love and oneness with all. Maybe chant a few OM’s in the morning, aligning yourself with the Supreme Being and reminding you that you too are Divine. So let’s play a little with words. In addition to OM tune into the following words and share with me know in the comments below what colors come up for you and what those colors mean. Remember, there is no right or wrong answer; these vibrations will be colored by your own individual experiences and understanding. There is, however, often a common thread. Don’t be put off if someone in the comments has a different color and experience than you. Just as there are many facets to a diamond, so there are different vibrations within a word.